- How will he handle rugged NBA post players? Some analysts think Plumlee will be a lottery pick, and others believe he’ll fall a bit below. Regardless, Plumlee will be a nice pickup for whatever team drafts him because he’s a hard worker who wants to improve, and he’s mobile and athletic. 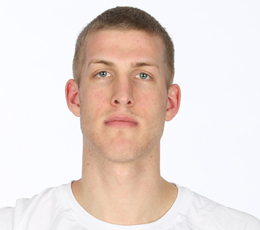 Plumlee might never become a star, but he’ll have a solid career for a decade or more. Plumlee was a second-team All-American, won the Pete Newell Big Man of the Year Award and was a first-team academic All-American in his final season at Duke. He scored in double figures in 33 of the 36 games he played, including nine games of 20 or more points and two of 30 or more. Plumlee was just the second player to average a double-double in the Mike Krzyzewski era at Duke. He racked up 18 double-doubles on the season.